Double soles, pretty cables, plus felted bulky wool equal toasty toes! These use about 100 meters of yarn for each slipper, and I prefer Reynolds Lopi. 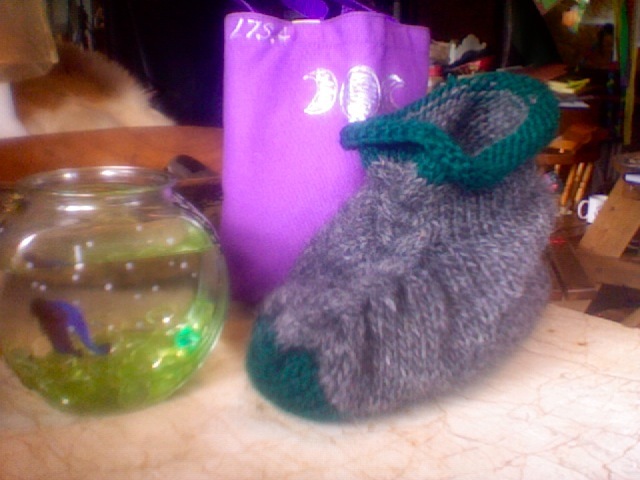 One skein will make one woman’s medium slipper. Cast on an additional 10 stitches and get an extra skein of wool for a much larger foot. Contrasting dark colors for the soles are recommended.